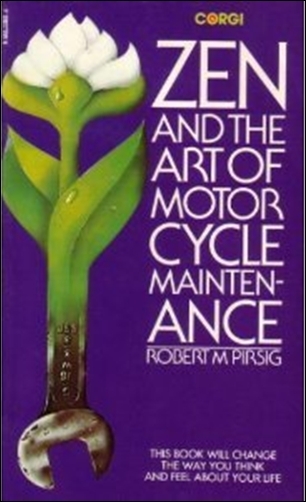 I read Robert Pirsig's famous 'Zen and the Art of Motorcycle Maintenance' a long time ago - and I'm not sure what brought it to mind. I would be hard pressed to tell you what it was about, except that it involved a lot of taking-motorcycle-engines-apart. Well, I don't have a motorcycle - but I do have a DIY Income Investor portfolio. Perhaps there's a parallel? Being an income investor, I do think of the portfolio as 40-odd little cash machines, pumping out money every now and then. Occasionally I have to choose another little cash machine to put the income into. And if one of the machines isn't working properly, I need to do something about it. To quote Wikipedia's analysis of the book: "the Narrator describes the 'Romantic' approach to life of his friend, John Sutherland, who chooses not to learn how to maintain his expensive new motorcycle. John simply hopes for the best with his bike, and when problems do occur he often becomes frustrated, and is forced to rely on professional mechanics to repair it. In contrast, the "classical" Narrator has an older motorcycle which he is usually able to diagnose and repair himself through the use of rational problem solving skills." Hmmm, yes - I can see the parallel now: a DIY investor is, maybe, a little happier than one who just does what his financial adviser tells him (or relies on his fund manager to make the right decisions). Yes, there is an element of satisfaction there. So when I was looking for a new money machine for my latest bit of cash, I was able to look under the bonnet of the portfolio for some inspiration. For my sins, I hold two flavours of RSA Group (the insurance provider): ordinary shares and preference shares (RSA Group 7 3/8% Cumulative Preference Share (RSAB)). With the disastrous unravelling caused by apparant fraud at its Irish operation, the ordinary shares have taken quite a hit. What is a bit surprising is that the preference share has also been marked down. Why surprising? Well, I can understand the ordinary share price being hit by the potential losses associated with the capital restructuring of the Irish business and (more worryingly) a further cut in the dividend (RSA is already on Santa's 'naughty list'). But the preference shares? RSA Group is not going bust. And - being very pessimistic - even if they don't pay the preference dividend this year, it will be rolled up and paid later. So, with a yield now over 7%, this looks like a 'buy' to me - and I have increased my holding. Zen and the Art of Motorcycle Maintenance also had another claim to fame: it was originally rejected by no less than 121 publishers, more than any other bestselling book, according to the Guinness Book of Records. It just goes to show: persistence can pay off. Interesting post, I like the thought of an income investor being compared with an old motorcycle.